Jaw crusher is used for crushing crude, medium and fine crushing of various ores and rocks with compressive strength of 147-245mpa. The maximum compressive strength of the crushed material is 320Mpa. Performance features of jaw breaker: large crushing ratio, uniform product granularity, simple structure, reliable operation, easy maintenance, low operating cost. Working principle: when working, the motor drives the eccentric shaft to rotate through the belt pulley, making the moving jaw approach and leave the fixed jaw in a periodic manner, thus crushing, rubbing and crushing the material, making the material fall down gradually from big to small until it is discharged from the discharge port. Through its working principle, it can be seen that the function of the jaw plate is to move and squish with the static squeezing. 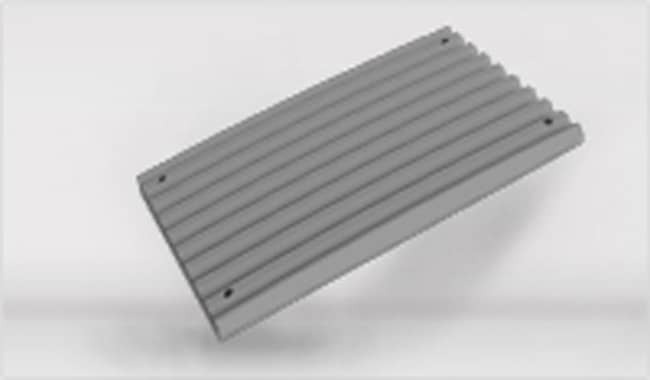 In this process, the material is crushed by the action of a large force, and at the same time, the jaw plate is also subjected to a large force. Therefore, when designing the part, it is necessary to select the material with high wear resistance, and in the production, in order to ensure the smooth working process of the smashing machine, we need to maintain it. 1.Check the machine regularly for breaking the machine. When any stone crushing equipment is turned on and off, it should pay attention to the regular shut-off and check the internal wear of the machine, such as the center feeding pipe, the cone cap, the impeller upper and lower runner lining, the circumferential guard, and the wear block, the degree of wear and tear, timely replacement of more worn parts, repairing these parts. At the same time, pay attention to the weight type and size of the replacement parts, etc., and must be replaced according to the original part parameters. 2.Jaw crusher belt is inspected regularly. The jaw crusher conveyor belt is indispensable in the stone production line. Regularly adjust the tightness of the belt to ensure that the belt is under uniform stress. When double motor drive, both sides of triangle tape should be selected and matched in groups, so that each group degree is as consistent as possible. If the belt is found too worn, please replace it in time. 3.Lubrication of mechanical parts. The jaw crusher USES a special grade of vehicle grease or 3-lithium grease, adding an appropriate amount of grease every 400 hours of operation; Working for 2000 hours, open the spindle assembly to clean the bearing; The normal operation is 7200 hours to replace the new bearing.